Click the button below to add the Mimaki JV3 HDC FPC 160 SP Assy - E102711 to your wish list. This single carriage cable assembly connects from the slider board to the main board on Mimaki JV3 160SP printers. 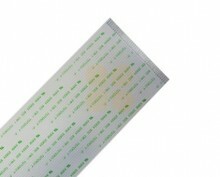 This is the original Mimaki part (part number E102711). This cable is 3.95M long. This cable connects from the slider board to the main board.